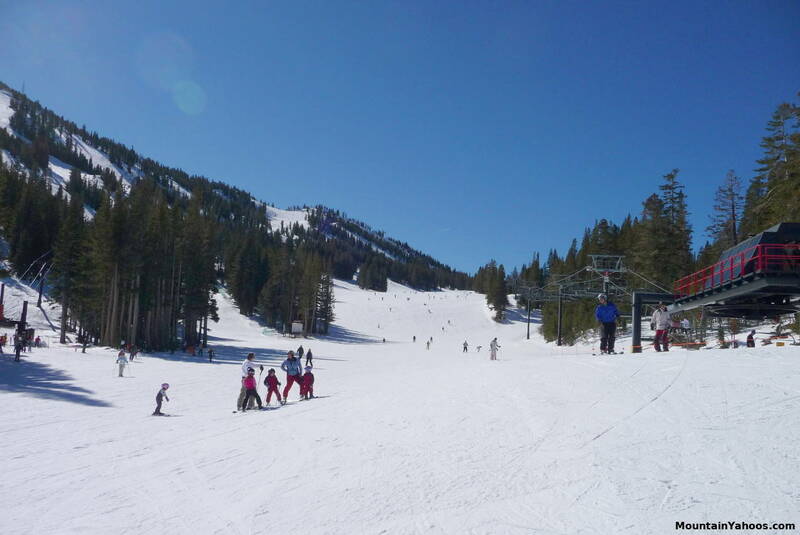 Of the ski resorts surrounding Lake Tahoe, Mount Rose is closest to the Reno airport and thus a favorite destination for air travelers who have a tight time schedule. It's only 22 minutes from Reno airport and 30 minutes from downtown Reno making it a convenient stop for those doing business in Reno. 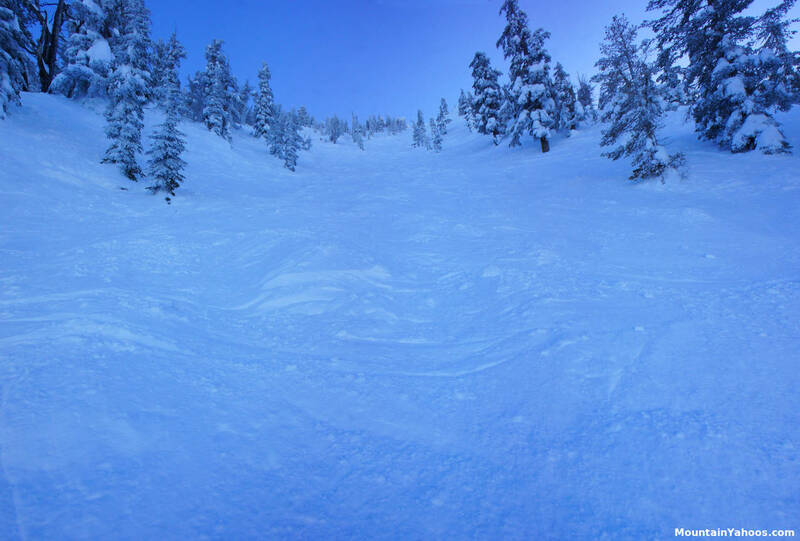 Mount Rose is also a favorite of the expert skiers who love it's endless death defying double black diamond chutes. The resort facilities are simple but functional. It is a skier's destination without the emphasis on shopping, spas and condos. 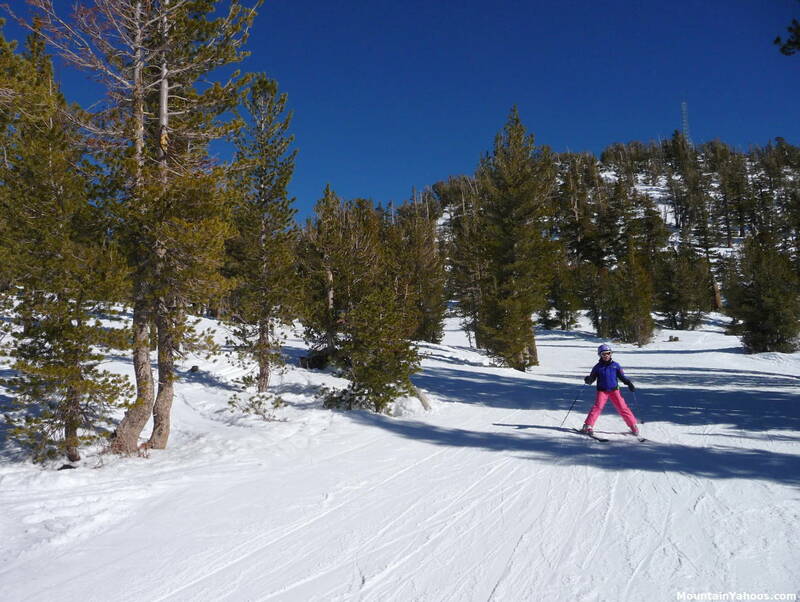 Go to Mount Rose to ski and let Reno provide everything else. 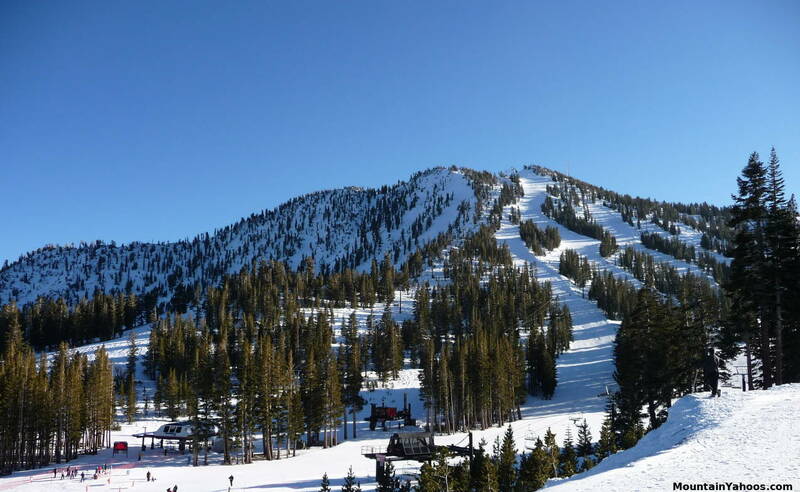 Mount Rose boasts the highest base elevation at Tahoe (7,900ft) and with 350 inches of annual snowfall (average), it has earned its reputation as a skiers destination. Fans of Elvis should visit on the second Saturday of January for Elvis Day. 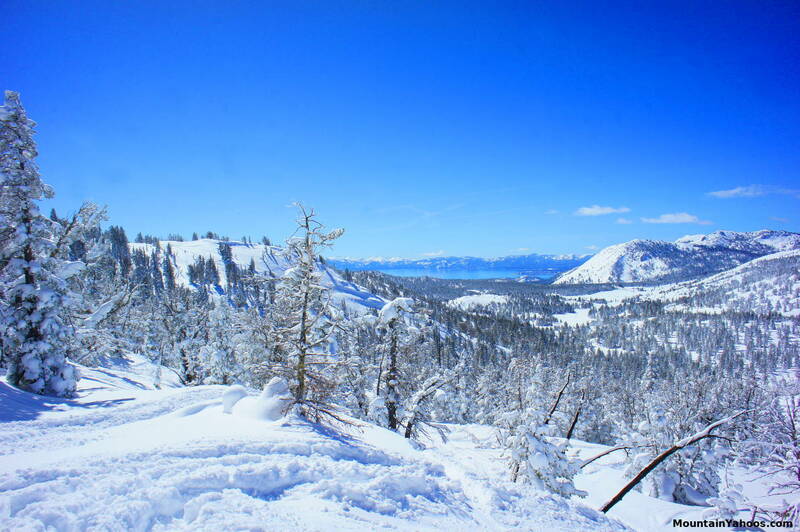 Mount Rose has many grand views of Lake Tahoe, a delight while stopping to catch one's breath. Rose is not a large resort by destination resort standards but its endless paths for those who ski off-trail and the variety of terrain will keep the curious busy for days. 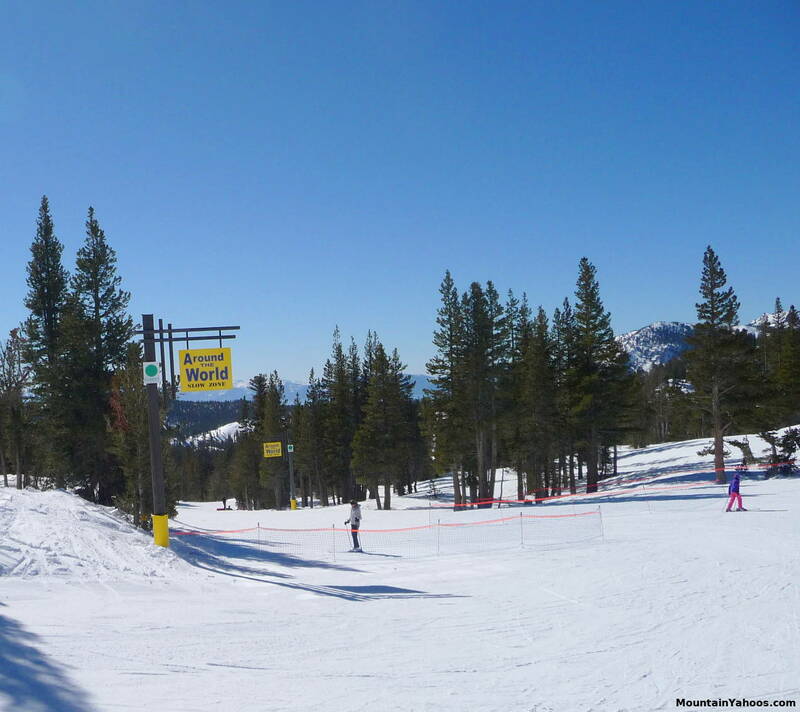 Mount Rose has two mountain base lodges, each with their own parking: one appropriately named "Main Lodge" and the smaller secondary base with its own parking area on the other side, Winter's Creek Lodge. Note that equipment rentals and ski instruction are only available at the Main Lodge. 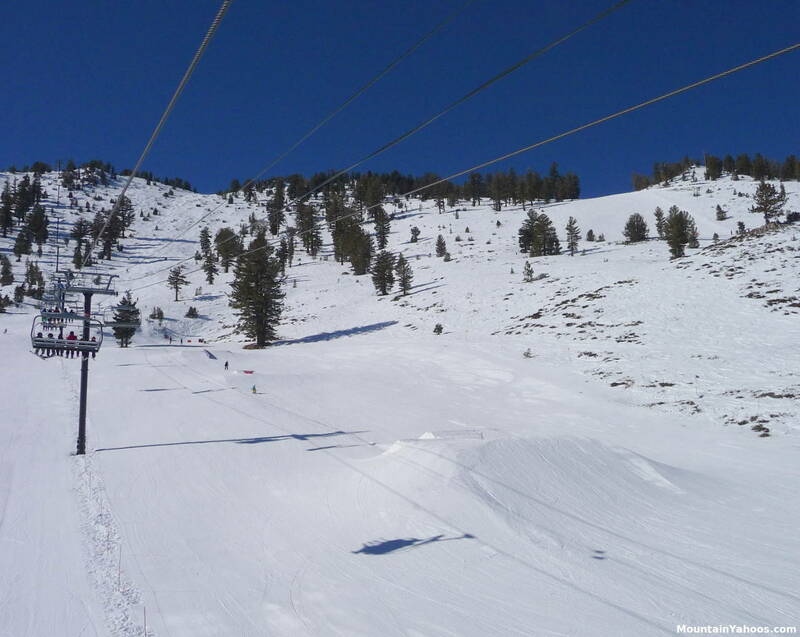 View of Mount Rose runs and chutes. 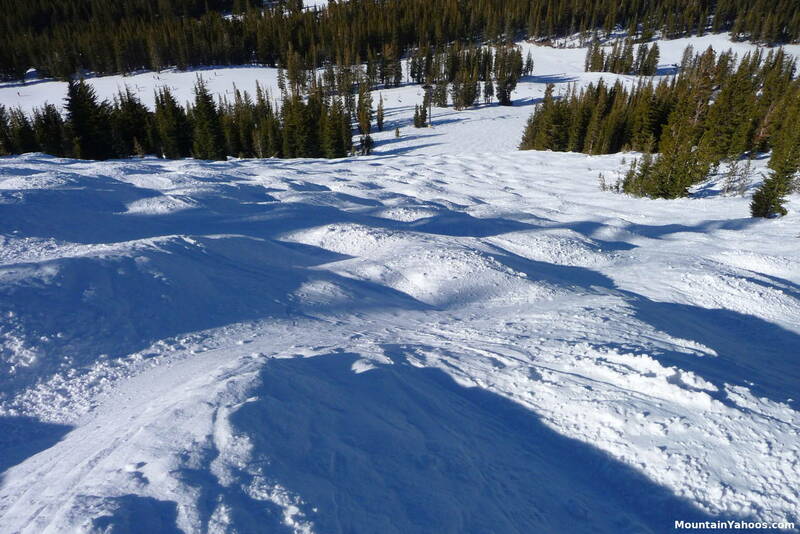 There are a large number of options for dropping in on the chutes. It is advised that one follow a marked entrance. 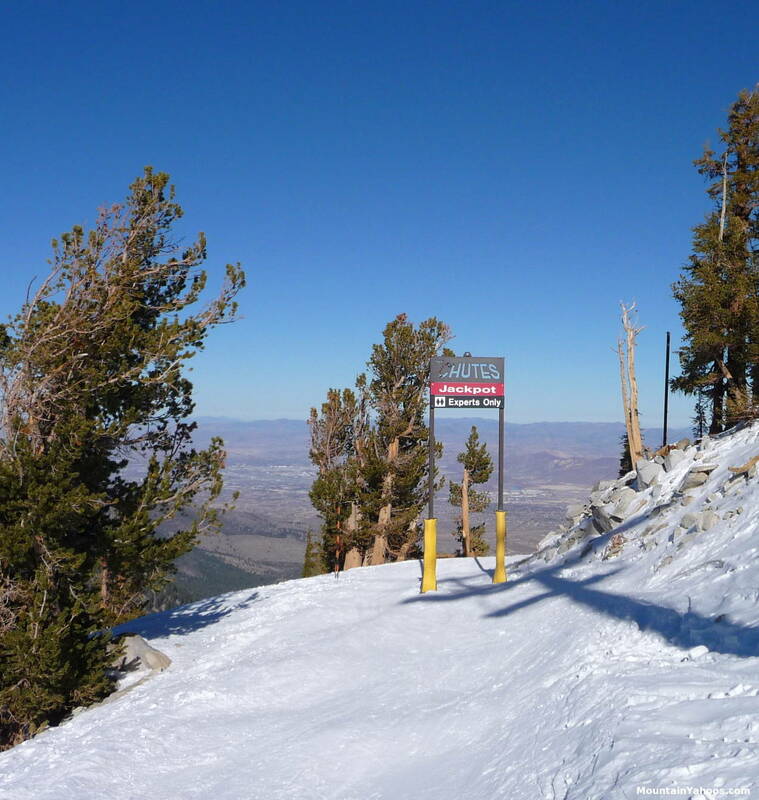 Mount Rose is a complete mountain with runs for all skill levels. From the summit it has a fantastic view of Lake Tahoe, in fact one of the best. 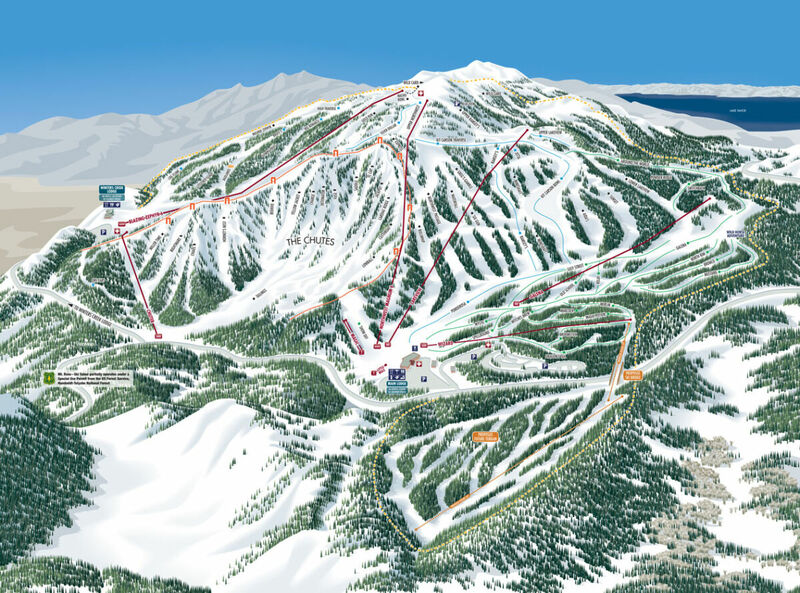 The far right side of the trail map will lead you to the beginner runs, the left, the blues, and the vast section in the middle is for the advanced and expert skiers. The chutes are for only the most advanced. 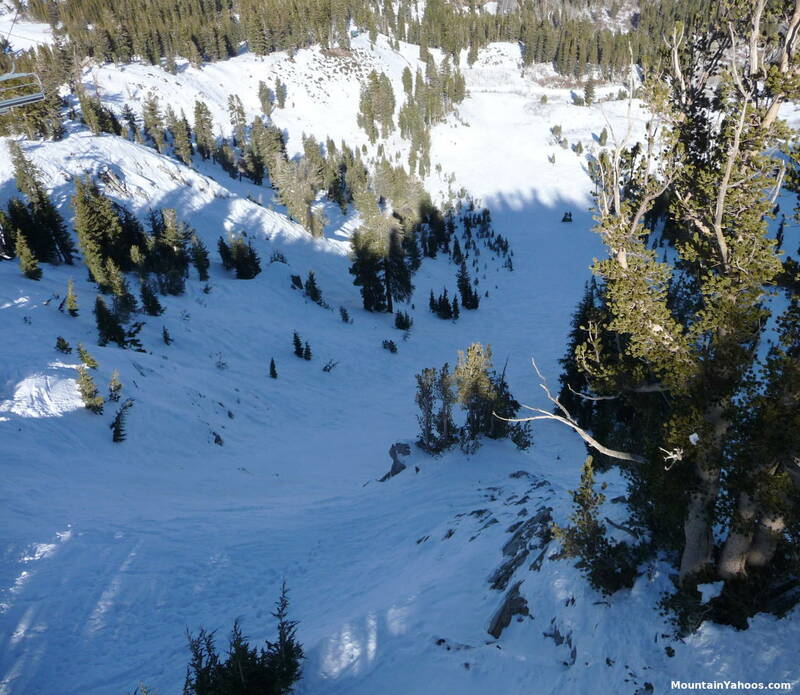 Please assess your skill level carefully as these chutes are steep (up to 55 degrees! ), long and unforgiving. 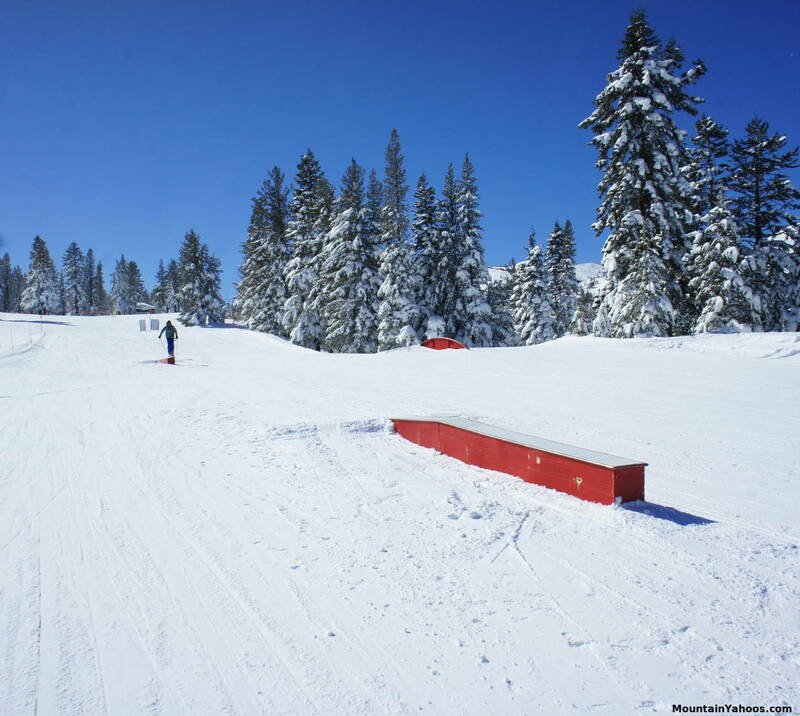 Although Mount Rose is known for its intimidating advanced terrain, twenty percent is ranked beginner. At the Main Lodge base area you can find the run "Show Off" and the conveyor lift "Magic" suited for children and first timers. Also available from the Main Lodge base area the lift "Wizard" leading to the lift "Galena", both of which are dedicated to beginners. These lists serve beginner runs exclusively so there is no way to end up in trouble. 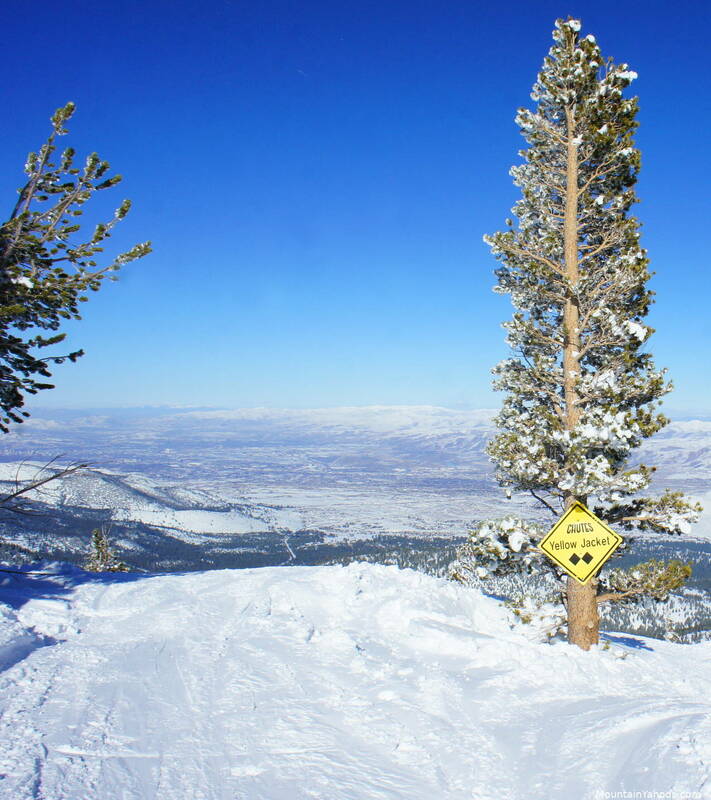 Intermediate skiers must be careful to choose their lifts and routes carefully and follow marked blue runs to avoid the advanced terrain. Intermediate skiers will find the blue runs to be well marked and groomed. Kids park and beginner run: "Around the World"
"Around the World" is the longest of the beginners runs and is a joy to ski. Kids will love the extra props set about the park. Chute entrances are marked: "Jackpot Chutes"
Double Diamond Run: "Jackpot Chutes"
Chute entrance: "Yellow Jacket Chutes"
Double Diamond Run: "Yellow Jacket Chutes"
Double Diamond Run: Looking up "Yellow Jacket Chutes" gives one the perspective on how steep the chutes are and how long they are, all the while maintaining their steep pitch. Try "El Cap" if "Jackpot" or "Yellow Jacket" chutes weren't enough. 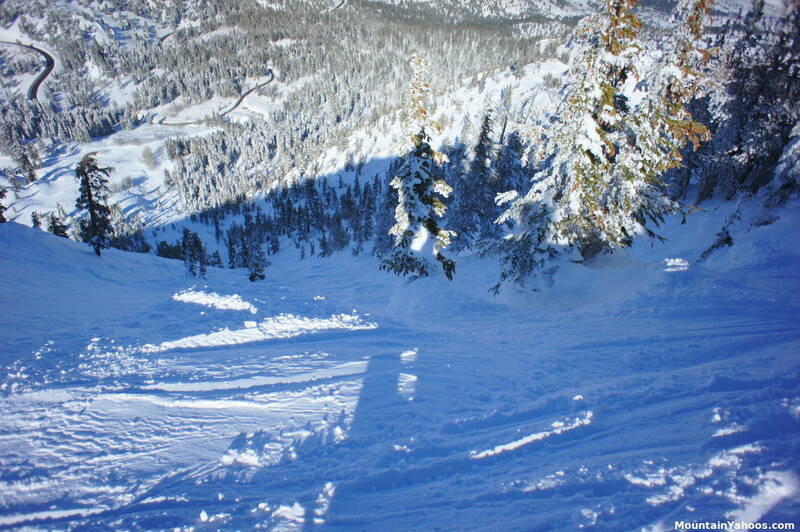 Run: "Mineshaft" - shown above is one of the many black diamond mogul runs on the right side of the trail map. "Badlands" terrain park, accessible from "Blazing Zephyr" lift. Go to Reno, it's only twenty minutes away. Lake Tahoe is lined with small towns all around the perimeter of the lake with a plethora of places to shop. The base of Rose has a lodge to support basic needs only.